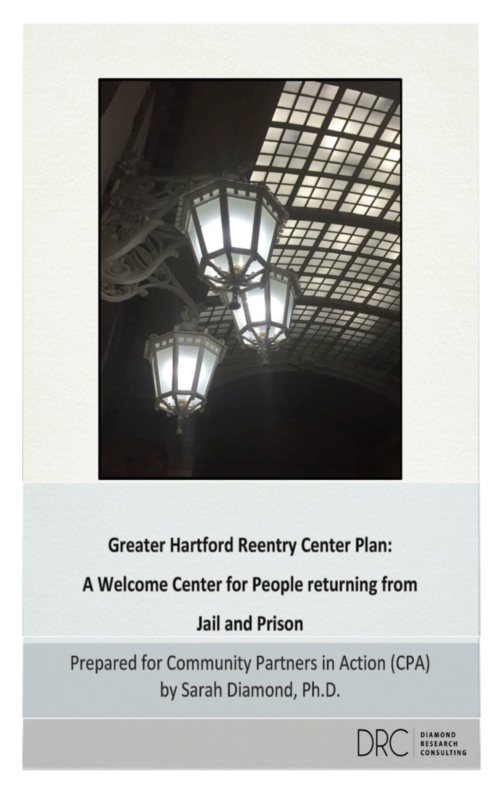 The “Greater Hartford Reentry Center Plan” is a planning study that was conducted to guide the establishment of the Reentry Welcome Center for people returning to Hartford after prison. The Center opened in Summer 2018. Funded by a 2017 Innovation Planning Grant from the Hartford Foundation for Public Giving, this process utilized an “action research” approach, involving formerly incarcerated individuals as research assistants and as focus group participants, along with advisers from government agencies and key reentry stakeholders from different sectors of the City and State. The study and report were developed for CPA and the Welcome Center Advisory Team by Dr. Sarah Diamond, Ph.D. of Diamond Research Consulting. For questions about the study, contact Sandra Bradford-Jennings, CPA Development Director.